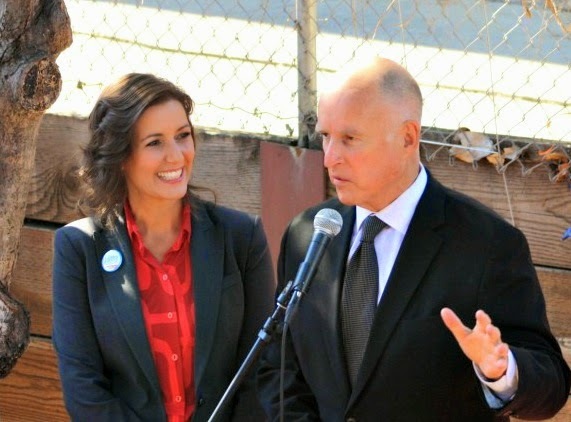 Libby Shaaf and Jerry Brown. >>>Gov. Jerry Brown breaks the year-long logjam in the Oakland mayor’s race after he endorses Councilmember Libby Schaaf. The announcement will prove to be a difference maker. In the short-term , a poll in mid-October still shows Rebecca Kaplan topping the field. >>>The long-awaited debate between Rep. Mike Honda and Ro Khanna is televised on NBC Bay Area. Khanna excels, but Honda also shows he still has a lot still left in the tank. >>>Not a peep was heard in the 15th Assembly District race all year, then all hell breaks loose. A shocking Alameda County Democratic Party mailer slams Tony Thurmond on behalf of Elizabeth Echols (both are Democrats) and a mysterious independent expenditure committee backed by Big Oil unleashes a flood of mailers for Thurmond. >>>An independent poll shows the race in the 17th Congressional has tightened up—a dead heat, in fact–with just weeks before Election Day. Late finance reports, though, show Ro Khanna’s campaign is running out of money. >>>In October alone, IEs for both Catharine Baker and Tim Sbranti in the 16th Assembly District will spend record amounts in mailers and television and radio spots played during the World Series. >>>The Castro Valley school board gets national attention after it approves the purchase of a $14,000 espresso maker for its students. The approval was later rescinded, but with little remorse from some board members. The attention, however, topples a long-time incumbent. >>>A day after a candidates forum in the 18th Assembly District, long-shot Republican David Erlich is admitted to the hospital. He will spend Election Day in the hospital after a string of bad health. Assemblymember Rob Bonta makes it worse by beating Erlich by 70 points on Election Day. >>>About 10 days before Election Day, mid-tier Oakland mayoral candidates Joe Tuman, Bryan Parker and Courtney Ruby join forces. The results will show the trio performed a bit less than expected. >>>Some suspect Peter Liu was certifiably insane. Others claimed his run for Oakland mayor was performance art. Who cares? Either way, Liu gets his 15 minutes of fame when late night host Jimmy Kimmel features him in his monologue. >>>Libby Schaaf posts a dominating win on Election Day and unseat Mayor Jean Quan after just one-term. Rebecca Kaplan and Jean Quan finish a distant second and third. A mild surprise: Dan Siegel finishes fourth. 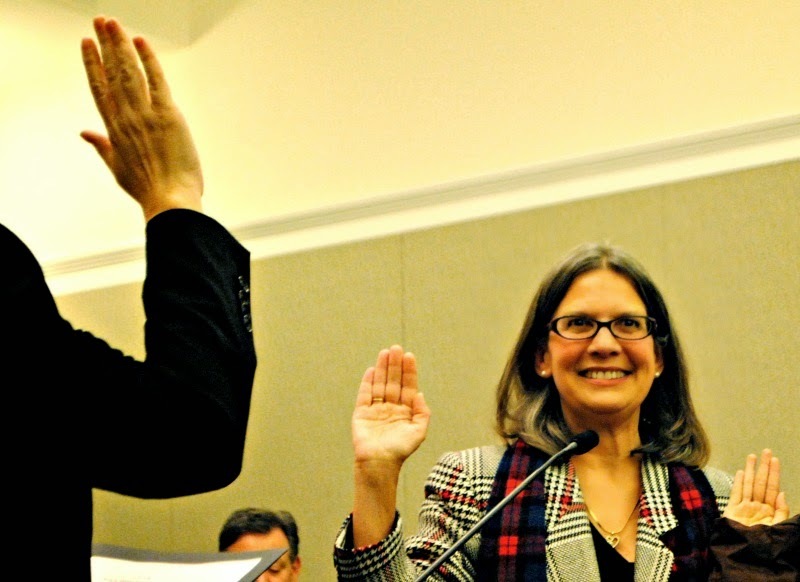 >>>In the 15th Assembly District, Catharine Baker beats Tim Sbranti and becomes the first Republican from the East Bay to serve in the Legislature since 2008. >>>Another upset, this time in Alameda, as incumbent Mayor Marie Gilmore is upended by school board member Trish Spencer by just 120 votes. The result suggests the future of Alameda Point will come to the forefront in 2015. >>>Rep. Mike Honda beats Ro Khanna by four points. During his victory speech, Honda makes it clear he intends to serve past 2016. Is a rematch in the cards? >>>Pauline Cutter easily wins a three-way race to become San Leandro’s next mayor. The City Council also adds three new members—Corina Lopez, Lee Thomas and Deborah Cox. >>>Voters in Oakland approves a measure raising the city’s minimum wage to $12.25 an hour starting next March. On top of the fight to push back the Domestic Awareness Center earlier this year, the measure’s passage is another feather in the post-Occupy Oakland cap. >>>Protests in Oakland rage over the non-indictment of a police officer in Ferguson, Mo., who killed black teenager Michael Brown and later Eric Garner in New York City. The protests will spread to in the Bay Area to Berkeley and San Francisco and feature acts of disobedience and the shutting down of some freeways and BART. >>>Ellen Corbett’s starts work for the Hayward Unified School District after losing out on a congressional bid last June and being termed out of the State Senate earlier in the month. 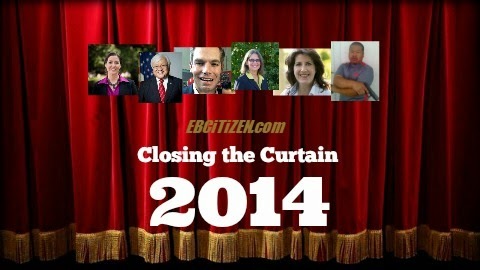 Posted in 2014 Election, 2014 Year-in-Review, Castro Valley, Catharine Baker, Ellen Corbett, Libby Schaaf, Mike Honda, oakland mayor, Pauline Cutter, Peter Liu, Ro Khanna, Tony Thurmond, Trish Spencer. Bookmark the permalink. Environmentalists won a big upset in Alameda.